The Oscars are welcoming new blood into the producing chairs of next year’s show. David Hill and Reginald Hudlin have been announced as the producers in charge of the 88th Academy Awards, and they’ve already gone on record stating that they want a duo to host the show next year. Now while this is hardly breaking ground, there’s one duo they already claim to have in mind for the job, and four more that we think would be perfect for the job. Picture any one of the following five duos as the hosts on Oscar Night 2016, and try not to agree. In a perfect world, the duo that David Hill and Reginald Hudlin have already pegged for possibly hosting duties would be Keegan Michael Key and Jordan Peele. If they manage to land this pair, they’ve pretty much sewn up Oscar night for the younger demographic - or anyone who loves to laugh. With Key and Peele hosting the Oscars, you’ve got two hosts who work like well-oiled machinery - both in the writing room and on the stage. They know the edge of comedy, and they aren’t afraid to play around with material from both sides. But edgy can make producers nervous. Still, it’s the perfect time to book the pair as their show is ending soon, because the iron is hot. Admit it… you knew this was coming. 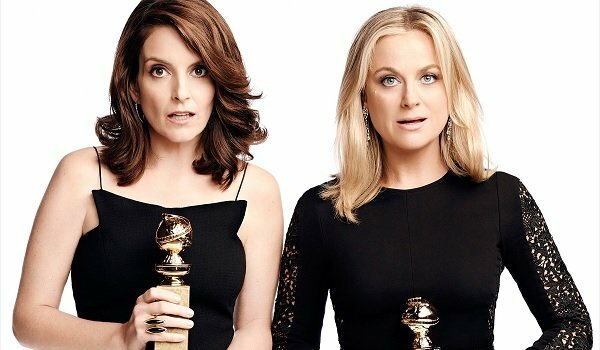 The moment Tina Fey and Amy Poehler’s hosting gig with the Golden Globes was over, the Oscar-night talk heated up faster than a Hot Pocket on the surface of the sun. Fey and Poehler’s awards show schtick is a network friendly, meme-creating possibility that could boost viewership to heights the networks haven’t been seen in years. Much like Key and Peele, Fey and Poehler have experience working together as writers and presenters, and they’ve got years of Golden Globes experience to back it up. While we’re on the subject of former Golden Globes hosts, another possibility comes to mind. The other name people have been throwing about for the Oscars gig is, of course, Ricky Gervais. His acerbic wit, mixed with his risk-taking attitude, could bring the edge of Seth MacFarlane’s infamous night back into the picture, but with a flare that audiences have come to accept on much better terms. 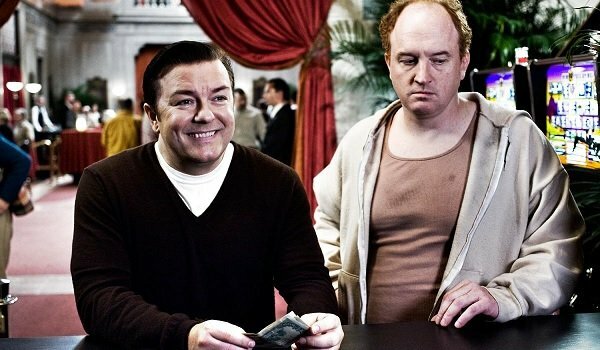 With good friend, and fellow snark master, Louis CK in the mix alongside him, a Gervais / CK pairing could usher in an era of laughter and comedic riffs that'd replace extravagant musical numbers. You can sign us up if this pairing ends up becoming a reality, but there’s another twosome that tops even these two jokesters. Right off the bat, Jon Stewart has points in his column as an Oscar host because not only does he have more time on his hands to take the gig, he’s hosted the show twice before and did it extremely well. 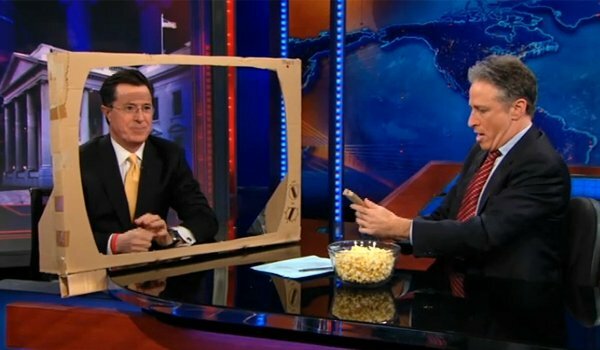 With Stewart’s grounded, reality-driven patter in the driver’s seat, this gives Stephen Colbert the perfect opportunity to jump into the passenger’s side and take full control of the nutty part of the night. There could be costume changes, sniper-precision one liners, and Colbert's set of pipes, which would elevate any musical number. These two showmen would brighten the proceedings infinitely. Still, all of these options might not be "safe" enough for first time producers to keep their jobs - which means it’s time to call in the experts. With three hosting gigs under his belt, and two of them being solo flights, Steve Martin has the most Oscar experience of anyone on this list. That’s not by accident, as he can keep his jokes sharp and short, knows how to work the audience into the act without drawing out the show, and commands a great amount of respect from the artistic community. Bringing back Alec Baldwin, his previous Oscar co-host and faux "arch nemesis," to help steer the ship is merely icing on the cake - as the two compliment each other’s sense of one-upmanship without distracting from the night’s events. If you want a safe, yet amusing option for two Oscar hosts, hire these guys. Though let’s be honest, if you’re hiring these guys, you should at least consider bringing Tina Fey and Amy Poehler in for a couple gags - so the Internet can officially love the Oscars to death. Who should host the 2016 Oscars? The 88th Annual Academy Awards will take place on February 28, 2016. We wish the producers and their prospective hosts all the luck in the world, seeing as that’s what really counts on Oscar night.